Hope you are all well and are having a good week. So I am bringing some Inspo sources. I am a sassy of fashion magazines, books, youtube interviews. So when I heard about the launch if this newsletter, literally providing my dose of read and self-taught in one and saving me time from making interview searches on youtube and space in bag from all the books I was carrying with me. I am not saying that now on I an going to stop carrying my books with or stop watching Inspo video on youtube but pretty much saying that the newsletter will do its job when I will be running out of time with a simple scroll on my phone to get the dose of inspo needed to start the day. Well let's first explain what is The Newsette for those who have no idea of what I am talking about. 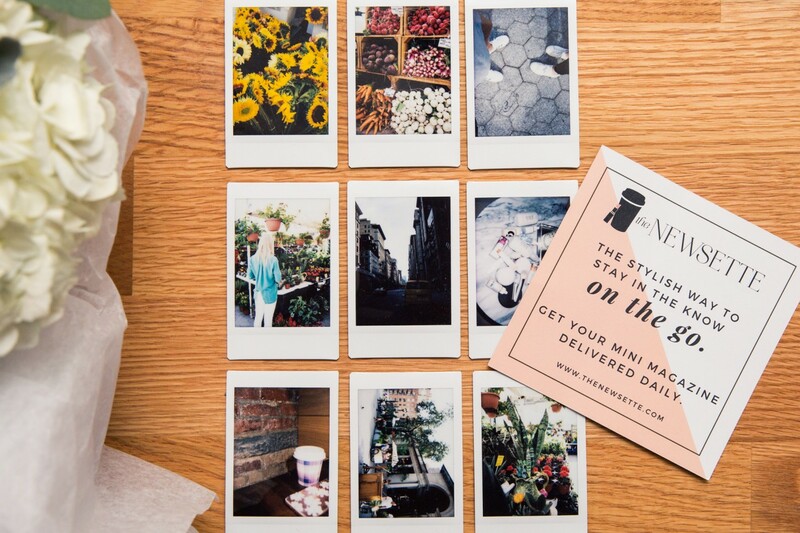 The Newsette is a daily newsletter dedicated to delivering a daily dose of positivity to your inbox every morning, where they cover a little bit of everything you love - from fashion and pop culture to daily news and health and wellness. The Newsette was started back in 2015 by Daniella Pierson as a way to inspire women everywhere before a busy day of work. As a colleague sophomore, Daniella found that she did not have enough time to visit her 50 favourite websites every morning her subscribers wanted to read right to their inboxes. Now, The Newsette is delivered to hundreds of thousands of inboxes daily, and includes a site that is meant to inspire, motivate, and inform career-focused and busy women before their first cup of coffee.